Home » Recipes » Cod with Jalapeno’s and a drop of Pesto! 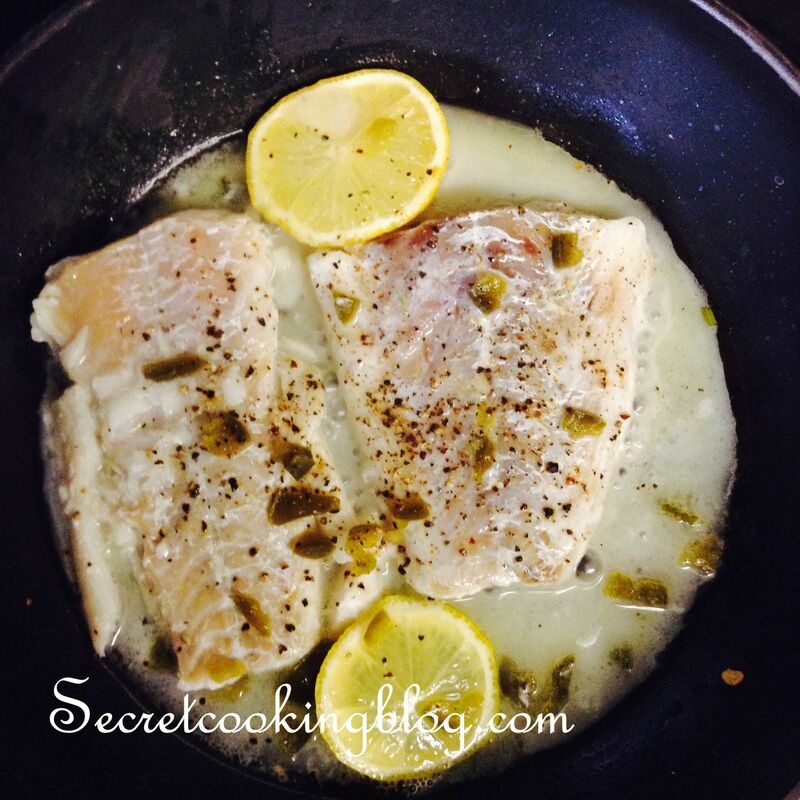 Cod with Jalapeno and Lemon this recipe just came out of no where! I had some frozen Cod in the freezer so I slowly fried it and because with frozen anything you want it to be cooked inside you start off with a low heat, it gave me time to think of what I was going to make with it. So I thought Leeks? Umm no not today I said, then I thought of my all time favorite Pepper! JALAPENO! I realized I have never heard of or seen Cod with Jalapeno’s. I thought that it maybe because it might not be a good match! But It’s all about trial and error, but…. I am so glad I did try it! It was AMAZING! 1. Add the oil into a hot pan, and then add the Cod. 2. If you are using frozen Cod heat on low/medium heat and just wait 5-10 minutes until its getting nice and soft and then carry on with the steps. If you have unfroze Cod then just add the chopped Jalapenos into the pan. 3. Add a couple slices of Lemon and then add some lemon juice. Add some Salt and Pepper on the Cod. Also add the peso and just spread it across some of the cod. 4. Once the Cod is fully cooked, Serve! I hope you try this recipe at home, I would really appreciate the feedback and pictures from your Cod with Jalapeno’s and a drop of Pesto. If you want to try something different perhaps replacing the Cod for Salmon.